John Ronald Reuel Tolkien was responsible for one of the most successful fantasy fiction series ever written, with the Lord of the Rings, and the Prelude, the Hobbit. Tolkien was born in the south African town of Bloemfontein, which at the time was the Orange Free state. Both of Tolkiens parents were British and moved abroad due to Tolkiens fathers Career (He was employed by a British bank). While still at a very young age, Tolkien was bitten by a spider (possibly a Tarantula) which appears to have been a basis for the character shelob in the Return of the King. When Tolkien was 3 years old he was taken by his Mother to England to visit family, however his father was taken ill with rheumatic fever, while still in Africa and died before he could join them. Tolkien and his mother moved to Birmingham and lived with his grandparents. When Tolkien was 12, his mother passed away and he was brought up by Father Francis Xavier Morgan of the Birmingham Oratory. Tolkien was educated at the Birmingham school, King Edwards and later went to Exeter College, Oxford where he studied English Language and Literature, learning a great deal of knowledge about Anglo Saxon and Middle English. He also became friends with another well known author, CS Lewis. At the age of 16, Tolkien met and fell in love with Edith Bratt, however Father Morgan forbade any contact with Edith until he was 21, which Tolkien followed to the letter. The day before his 21st birthday, Tolkien sent a letter to Edith asking for her hand in marriage, however as Edith had not spoken to him in so long, she had thought he had forgotten about her and had become engaged to someone else. They were however, reunited and became married on the 22nd March 1916. John served in the first World War as a Second Lieutenant with the 11th Lancashire Fusiliers. 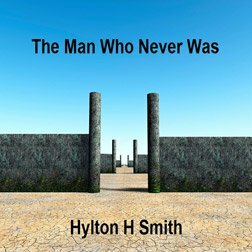 While at the Somme, he developed Trench Fever and returned home. During his convalescence he began to write a book that became known as the Silmarillion. This began his creative process that eventually produced one of the most popular and enduring Fantasy Epics of all time in the Lord of the Rings. The Lord of the Rings was finished by Tolkien in 1949 but the publishers insisted that to be published they must become 3 separate novels. The Fellowship of the Ring and the Two Towers were published in 1954 with the Return of the King Published in 1955. CS Lewis was known to love the books. in 1972 Tolkien received a CBE and Honorary Doctorate of Letters from the Oxford University. Edith Tolkien died on the 29th November 1971 at the age of 82. 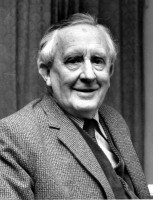 JRR Tolkien Died on the 2nd September 1973 at the age of 81. Tolkiens son, Christopher has devoted the last 30 years of his life working on editing and publishing his fathers unfinished work.